Making unique chocolates is more than a job for us, it has become a passion! Our chocolates are hand-made in our own atelier where we use only the finest origin chocolates and raw materials. Fresh ingredients of the highest quality and optimal packaging to ensure that our chocolates make even the most demanding connoisseurs’ mouths water. Redefining the meaning and senses of “Melting in the mouth”. 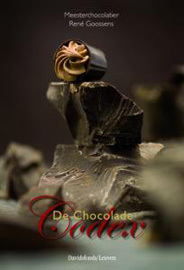 Goossens’ policy of quality is simple, but demonstrates our pride and confidence in our products: we do not use vegetable oils, animal fats or artificial additives in order to reduce costs or extend shelf life of our chocolates.In fact, you do not need to have the palate of a connoisseur to taste the difference. The real smoothness and great after taste comes from the 100% Cocoa Butter in our chocolate. There is nothing magic, but scientific. You will not have the usual sense of dryness and stuffiness in your mouth, and simply wish for more! For over 30 years Rene Goossens passionately created bonbons and other chocolate products for thousands of clients, and he devoted five years to summarizing all his learning in this book, “The Chocolate Code”. Together with him, you can discover all the secrets of chocolate, from the basic ingredients to the complete products, from the origin of chocolate right through to the discovery of the bonbon!